Put your step-in in the heavenly, fresh, green and wide valley of Bhutan. 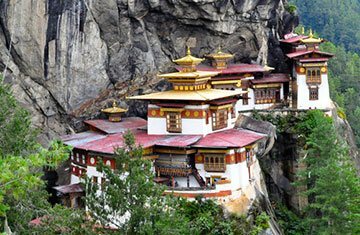 Paro is considered among one of the most picturesque places of Bhutan. Simply, if you are on your feet then calmly explore everything within the pleasant lap of nature. Every corner is beautifully conserved within the vicinity of colorful architecture, tranquil atmosphere, rich culture, religious sites and historically important places. It is like a serene and untouched place where you will get more to see, explore and experience. Pleasant weather, vibrant festivals, warm hearted locals, adventure trekking routes and astonishing city attractions help you to fully enjoy the place. 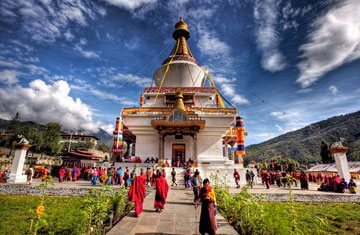 From the great variety, one must has to cover Tiger’s Nest, Drukgyel Dzong, National Museum, Paro Dzong, Chele La Pass and Kyichu Lhakhang.